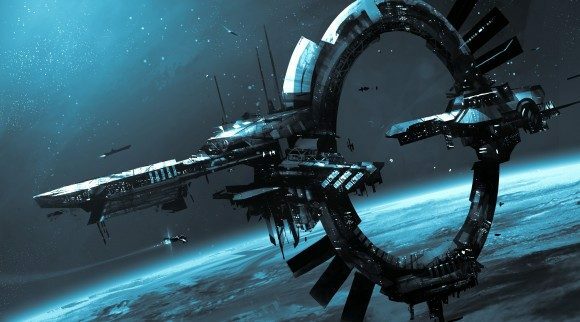 Chris Roberts and Cloud Imperium Games are going to have much to be thankful for tomorrow, as their space simulator behemoth Star Citizen has achieved $63 million in funding. The news was broken on the developer’s blog. Only two weeks ago, that number sat at $61 million. Today, over 661,000 people have backed Star Citizen, bolstering its already prodigious reputation as the most crowdfunded project in history. Star Citizen‘s recent financial gains has allowed for new additions to be made to the universe, namely a Genesis-class Starliner, a passenger ship that can also be reconfigured to carry freight and military support roles. Another new ship is the MISC Reliant, a starter ship that seats two and boasts Xi’An technology. Since the game’s funding doesn’t appear to be slowing down anytime soon, Roberts has detailed a new milestone goal for $64 million: Pets. These include repair bots, fish, cats, dogs, and so on. Lord knows what they’ll have in store if the game manages $100 million in funding. Although it began life as a space simulator with both massive multiplayer and singleplayer modes, Star Citizen‘s unprecedented level of funding has allowed it to expand in every way imaginable. Most recently at PAX 2014, a new first-person shooter component was unveiled, in which players could dock at space stations, get out of their ships, and engage in gunfights that involved both artificial gravity and weightlessness. The current alpha version of the game also includes Arena Commander, a combat simulator that allows for adversarial multiplayer as well as racing and cooperative modes. Star Citizen is estimated to be released on the PC sometime in 2016.